What is a hipster haircut? When thinking about a trendy and stylish haircut, you might want to consider this type of hair do. 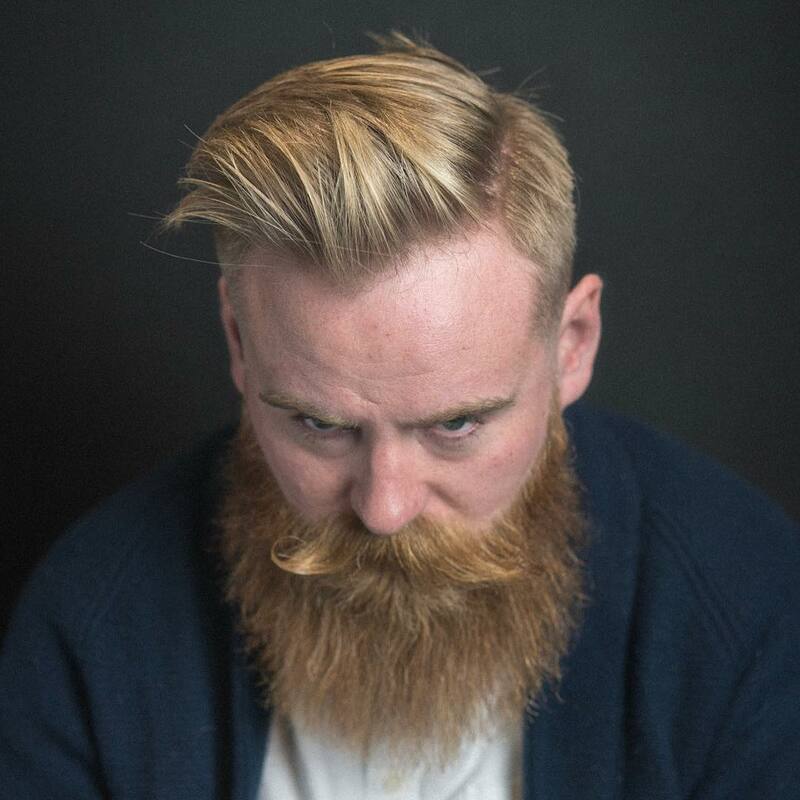 Hipster hairstyles are characterized as many different kinds of haircuts. According to the pros, one is a variation of a traditional haircut between 1920s and 1950s. One can also be a borrowed haircut from the ancient times’ culture. 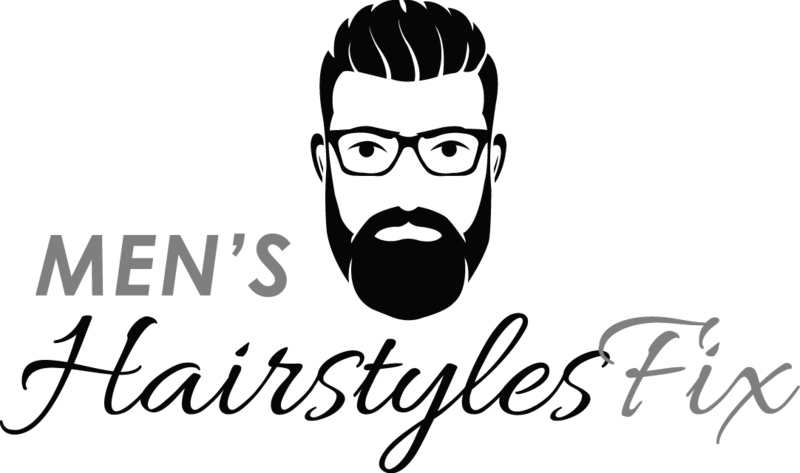 Should You Get A Hipster Hairstyle? Yes, you should if you’re unafraid to wear and show a different hairstyle other than what you were used to in order to highlight your face’s best features, including your eyes and nose. 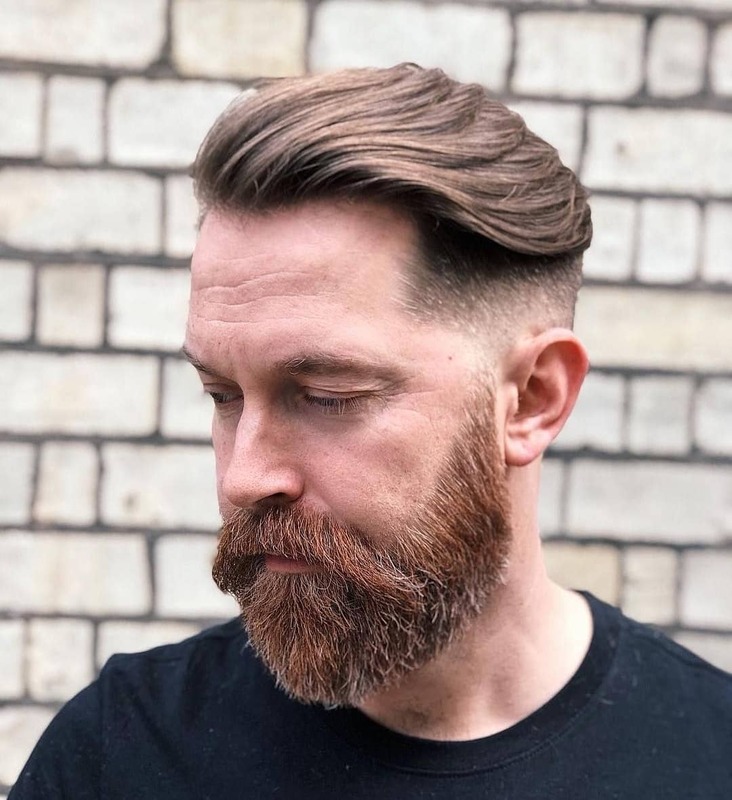 You won’t go wrong or run out of choices for choosing the hipster haircut because it can be modified and combined with different styles, including undercut, cropped top, pomp and quiff. You can also ask your barber to cut its top to your desired length so that you can get the right thickness. 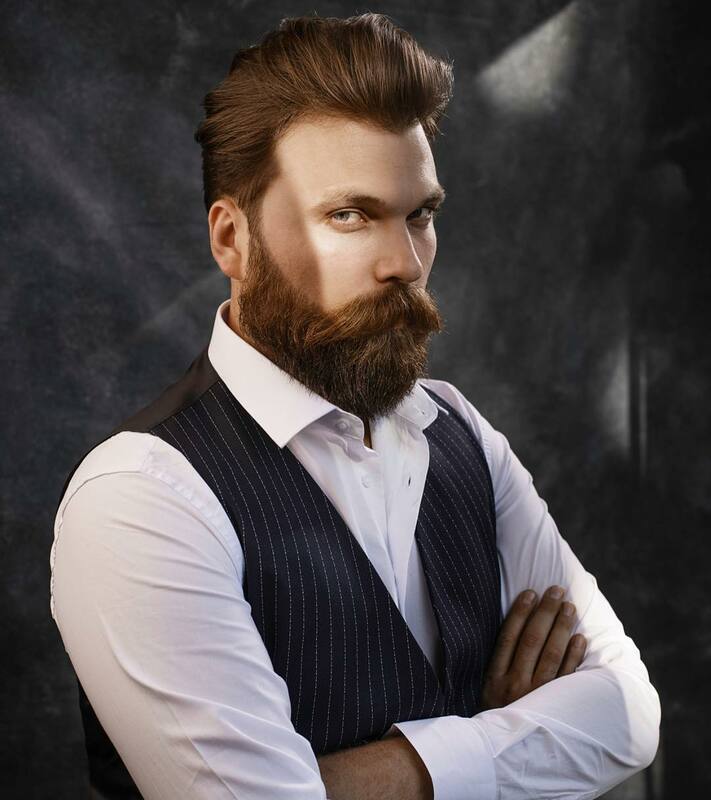 You won’t also lose the hipster appeal even if you tried modifying and applying a new style to this hairstyle. In addition, you can also ask your barber to design your hair with a masterpiece of your choice. 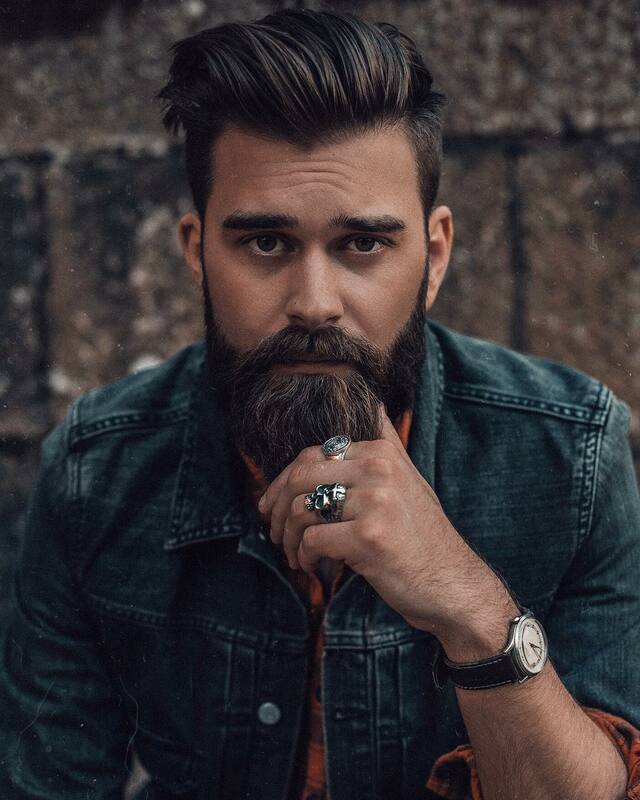 To add more twist to the hipster style, you might also want that beard or tattoo. Nevertheless, the hipster style is for everybody. 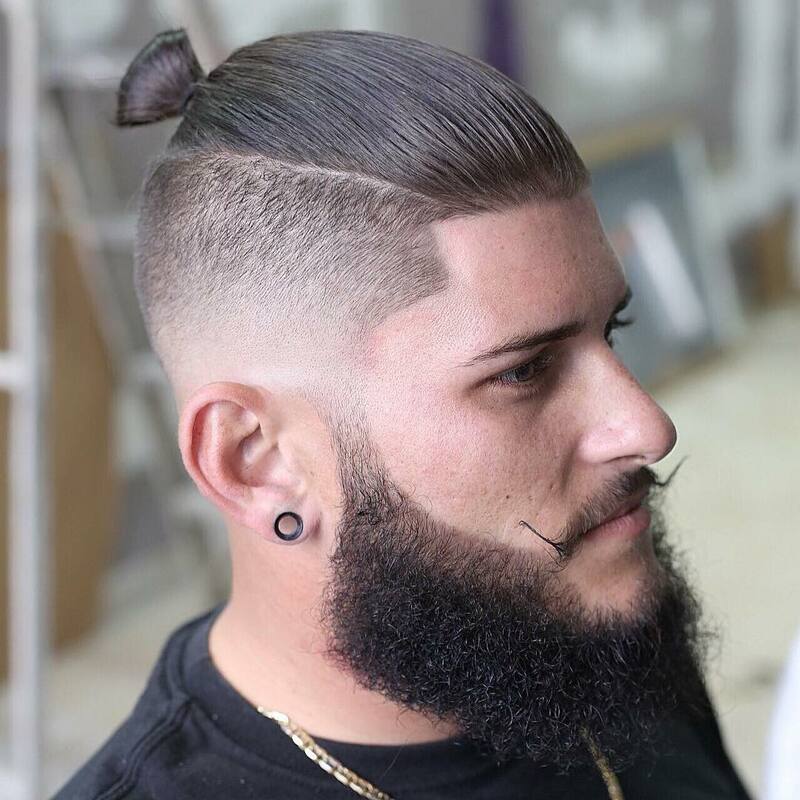 No one can go wrong with the stylish, fashionable and neat hipster hairstyle. 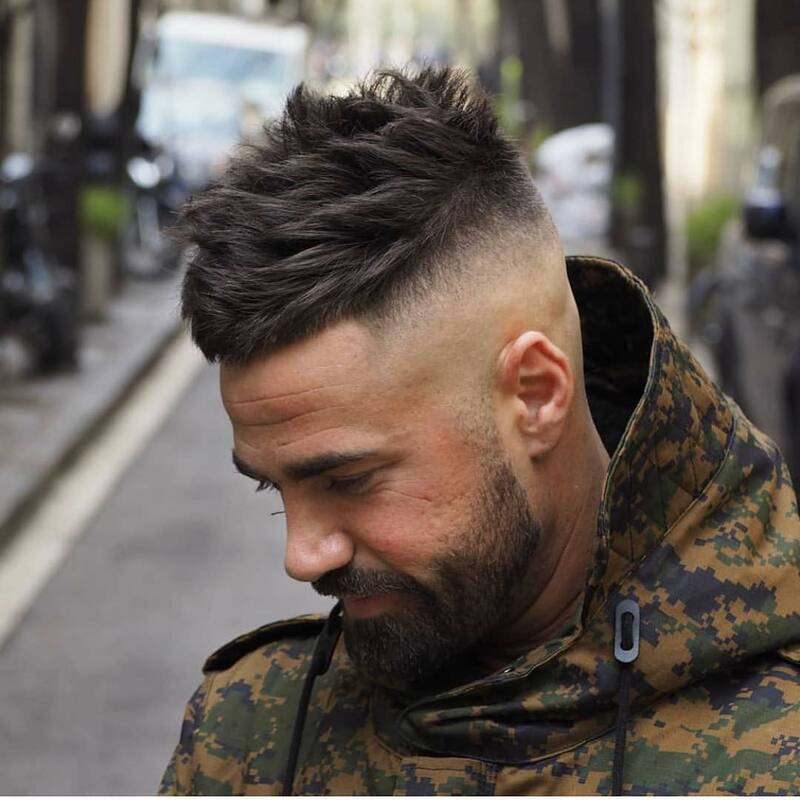 For inspiration, check out the following for the top 20 hipster haircuts to get for yourself today! This brush up crop plus beard is trendy. We can imagine someone who’s a musician or a rock star with this haircut. Are you? Get the hairstyle today! Pomp plus undercut equals fabulous! It looks sleek and iconic. However, make sure that you keep it styled and with the right amount of hold especially if you have thick hair. Looks like someone has nailed a new hairstyle? This long textured and slicked back hair looks awesome and laidback. 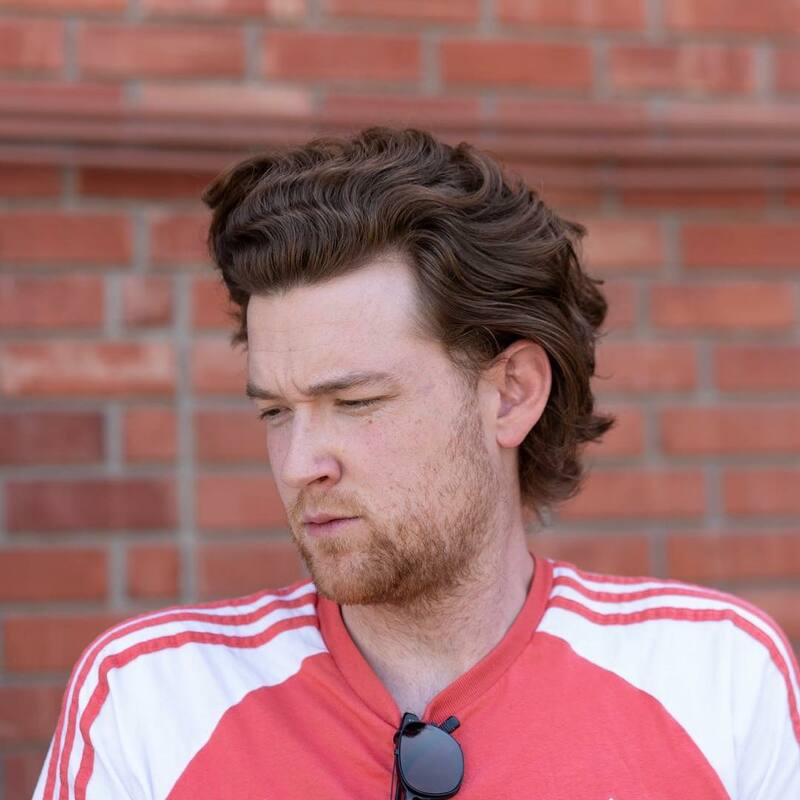 Check out this new hairstyle and notice the fierceness it creates on this man’s face. If you’re someone trying to experiment on a new trendy hairstyle, you might want to try it yourself. We’ve never seen a hairstyle this cool in a while. The hair is cut long on top, short on the sides and back. It gives more definition to this man’s face. 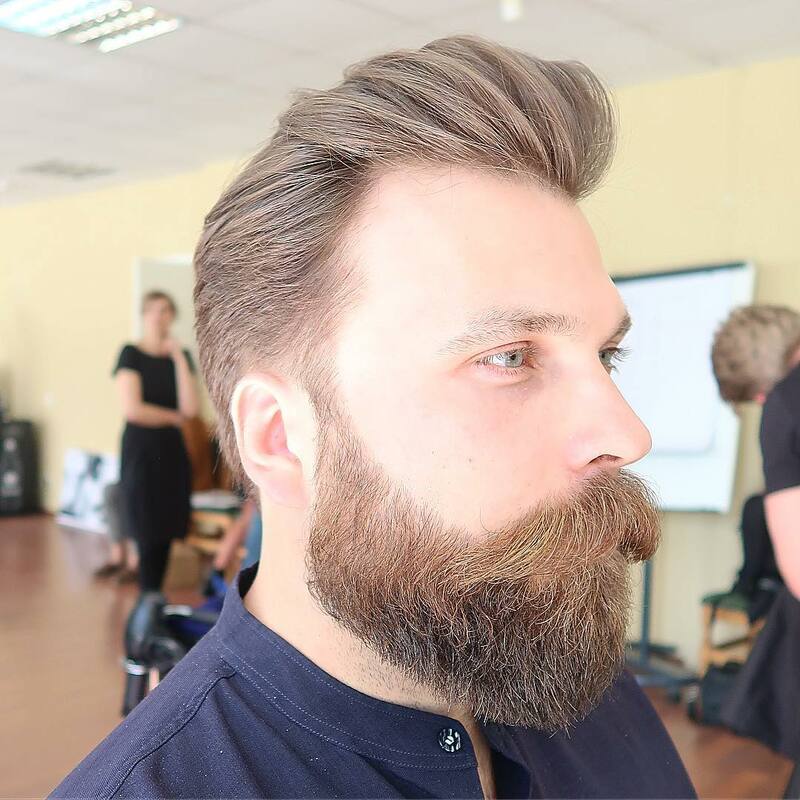 This classic undercut plus beard can definitely make someone look younger than his age is. It is neat and appeals to us like a boy-next-door aura. This looks perfect on any occasion and function. Dyed hair or not, we think this hairstyle that has the taper and slicked back is perfect for any man of style. One who knows what he wants and deserves. Check out the style today! 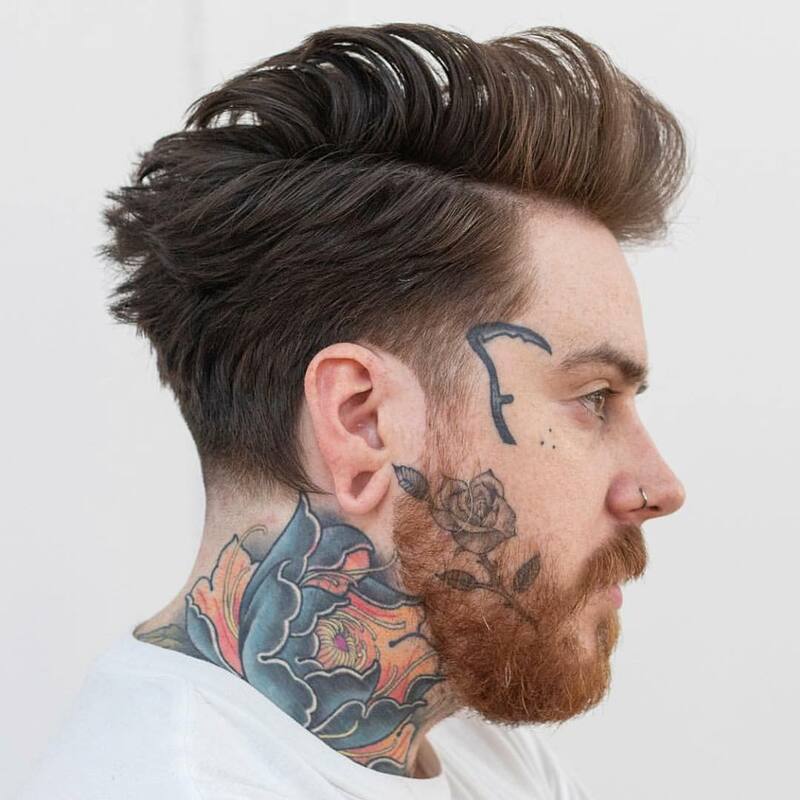 OK, this man looks fierce and edgy with this excellent hairstyle plus some tattoos. You will never go wrong to wear this style on any occasion. Keep it looking great with some styling products. A quiff without some messy style might look boring. This hairstyle is perfect for men that want to give their quiff a new twist. 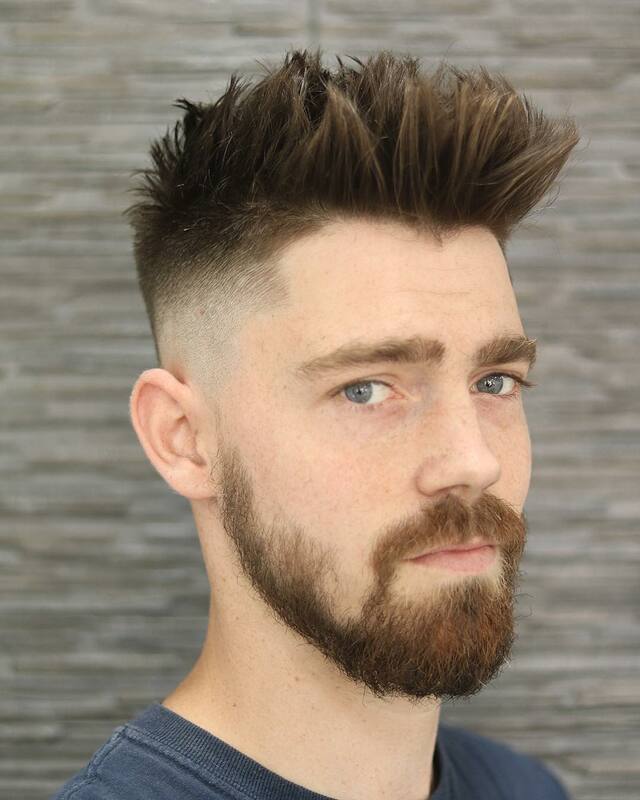 This spike hairstyle with the high fade emphasizes on the face shape and highlight facial features like the eyes. It is easy to maintain with some hairstyling products. Steal the look and see how it works on you. 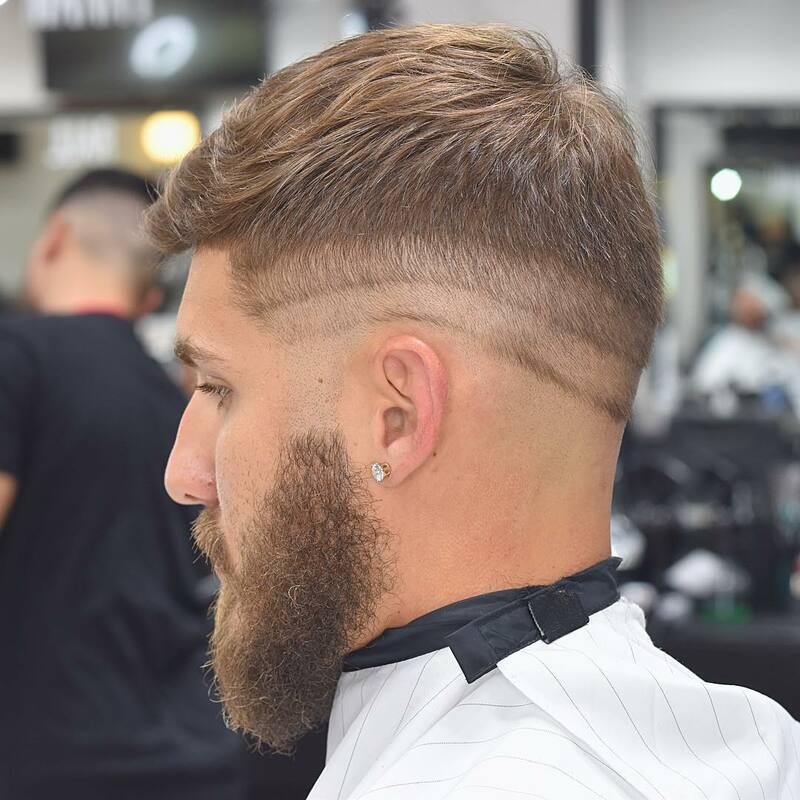 This long spike cut with the mid fade plus beard is a stylish take on traditional haircuts. It is every hipsters goal to achieve a stylish yet simple hairstyle like this one. Try it for yourself today! The style reminds us of a survivalist who is still stylish and fashionable while thriving in the wild. It also appeals to us like a celebrity hairstyle. What do you think? 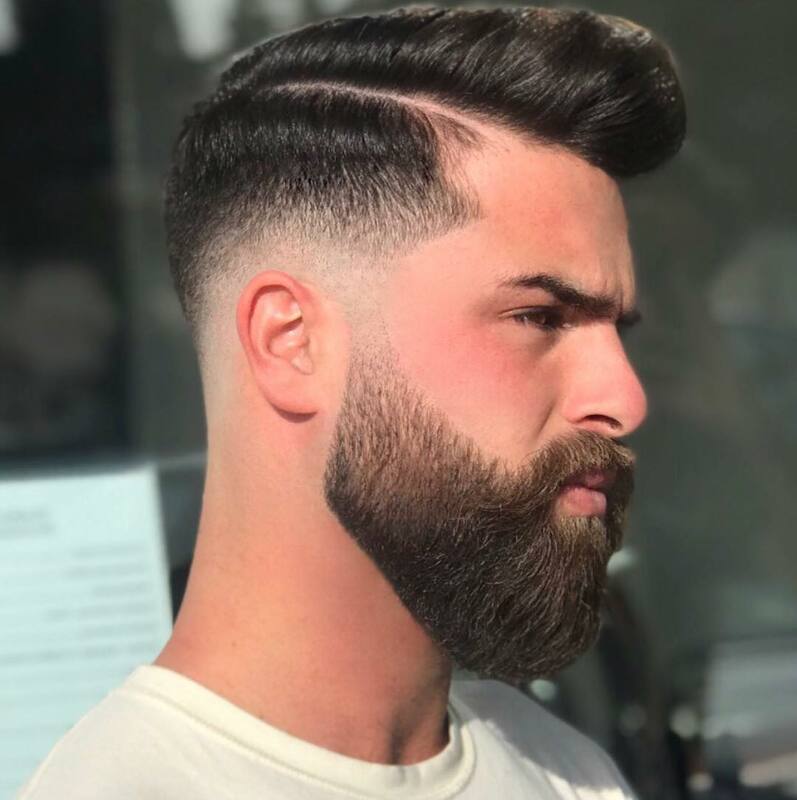 The elegant fade plus beard hairstyle is for men who want to try something new on their traditional haircut. It needs regular trimming to keep the style on the sides though. 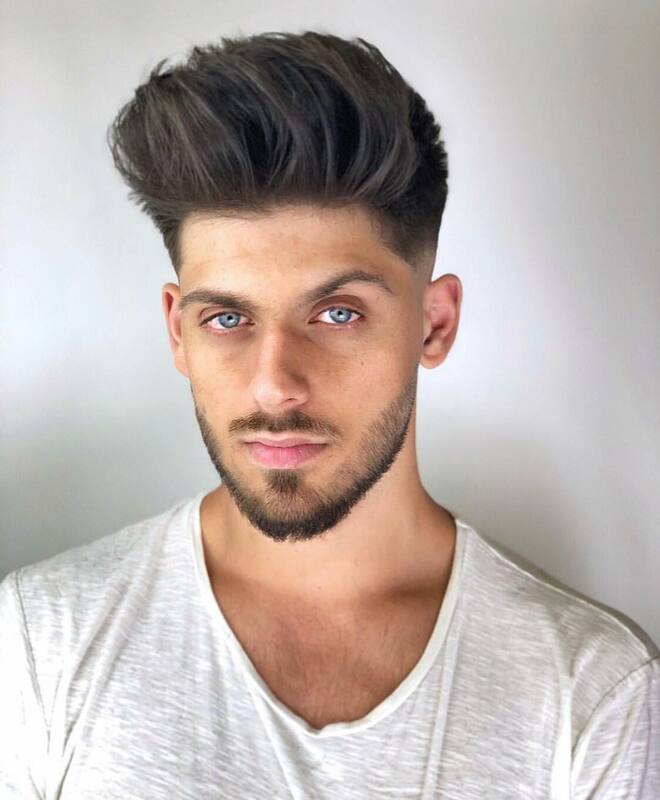 Be sure to get a regular trimming schedule with your barber to keep the look. 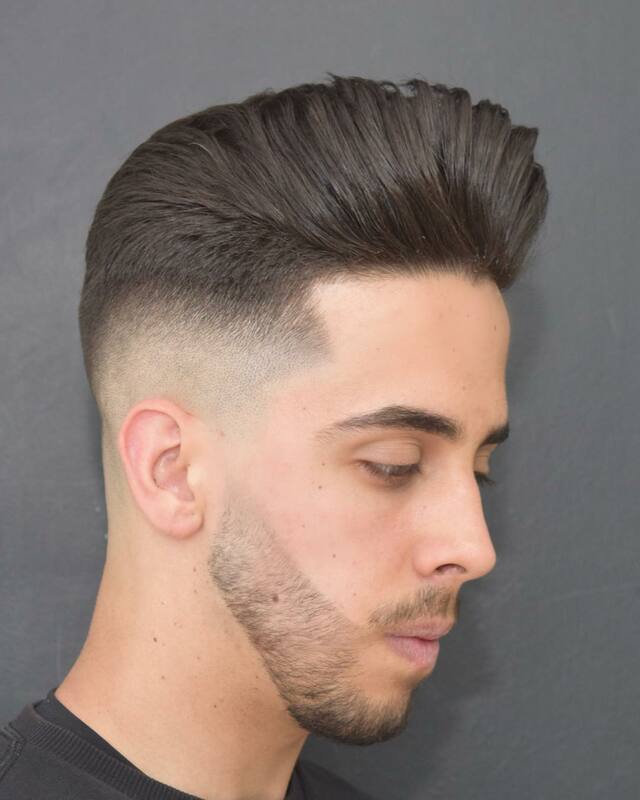 Clean and neat looking, the hip fade plus spike is an iconic hairstyle for men who want to keep that masculine appeal and highlight their face’s best assets like those gorgeous eyes. Try it for yourself now. This is the ultimate hipster hairstyle we’ve seen so far. 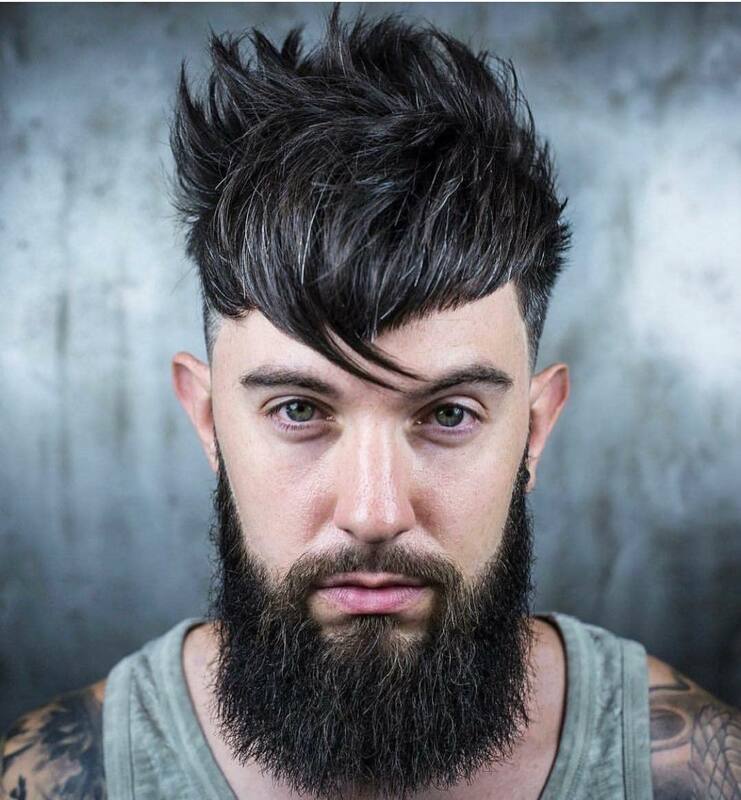 The hair remains long and thick on top with the sides just cut to the desired length of this man. 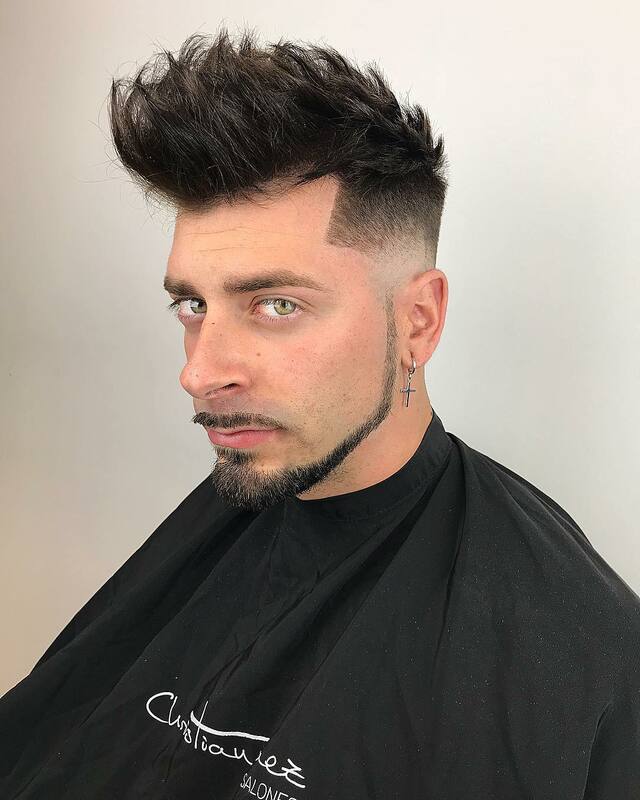 What do you think about getting this hairstyle for yourself? If you’re ready for a new haircut, then you might want to check out this one. 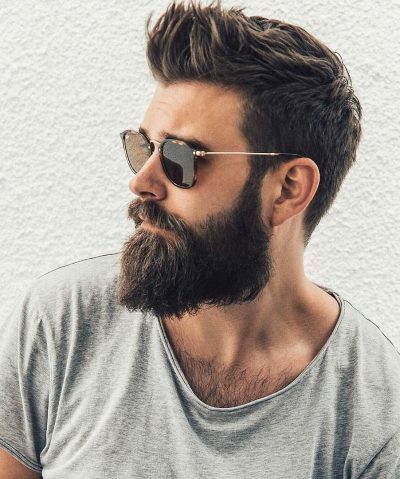 Working in the field or in an office this pomp plus full beard can definitely give you a new and exciting look. 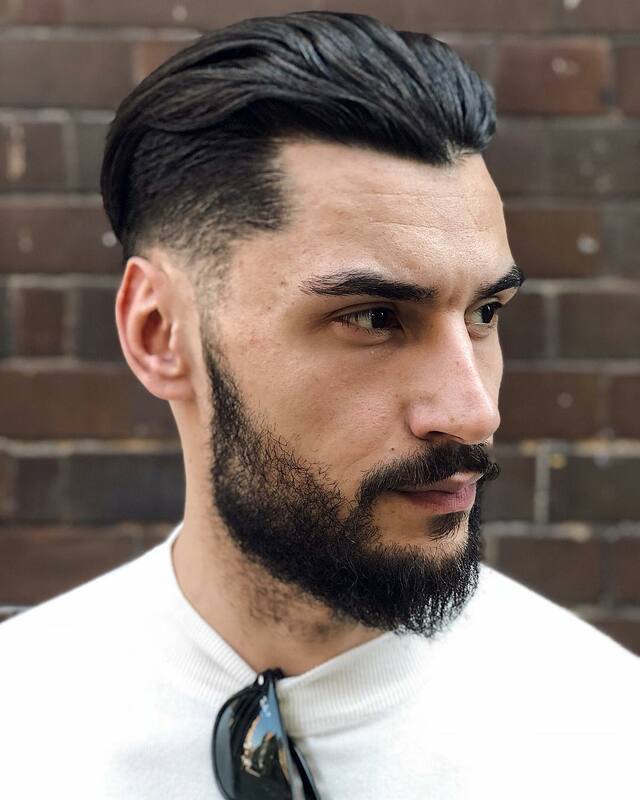 You need some hairstyling products to keep that slicked back style and some regular trimming to maintain the length on top and on the sides. 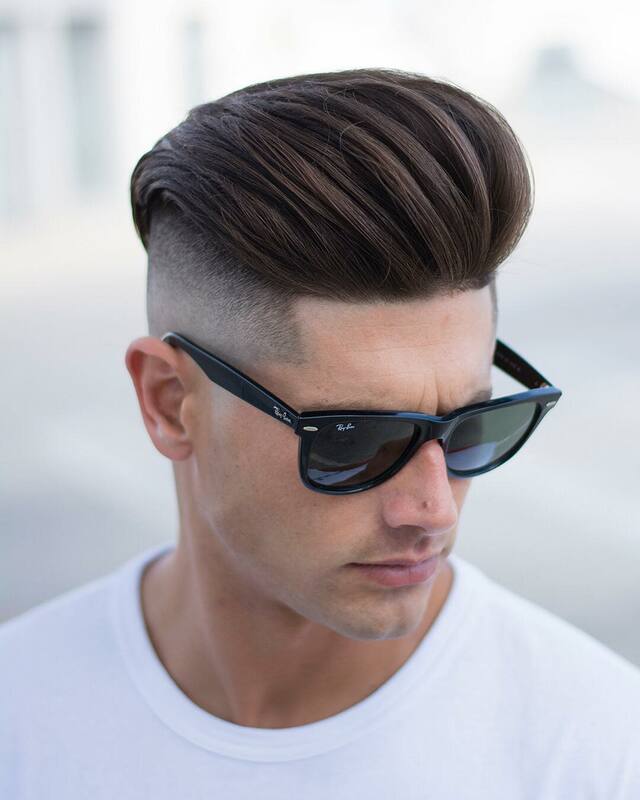 It looks sleek and neat with its top just cut to the right length enough to highlight the style of this classic pomp. With a beard, it will look more iconic, so you might want to consider that for yourself, too. The sharp lines with soft curly remind us of a wash-and-wear hairstyle, ideal for men always on the go for gigs, business or work. It can also be great for college men. 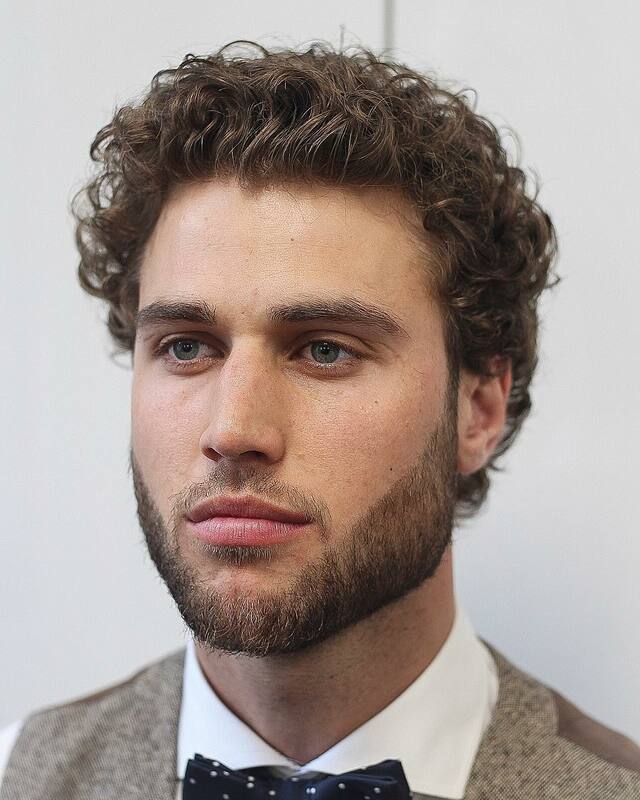 This classic side part plus beard hairstyle is awesome for men of any face’s shape and hair type. Just use a great styling product for that hold and shine. OK, let’s end this list with a bang! This haircut looks amazing! It can work for men with any face’s shape and can be the perfect summer look. Do you agree?